Every soccer fan is familiar with international cup competitions like the Champions League. Nearly ninety years ago, Austrian Hugo Meisl was the first to come up with this idea. In those days, professional soccer just started in countries like Austria, Czechoslovakia and Hungary. Meisl wanted a knock-out tournament, just like the national cups everybody already knew, with the champions of each participating country. 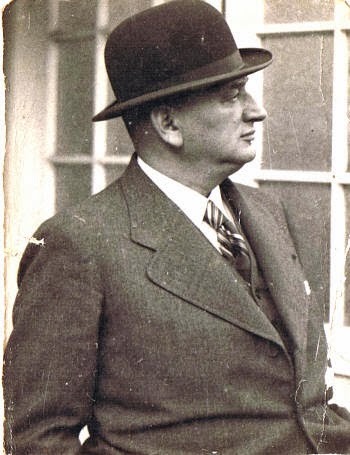 Hugo Meisl (born 1881) thought home and away matches would be best, this way everybody had equal chances. Of course, he needed eight teams to get a decent set up, with quarter finals, semi finals and a final. And as Germany and Italy did not have a national league yet, he asked the top two teams of the four countries that did compete: Austria, Czechoslovakia, Hungary and Yugoslavia. That last choice was a surprise. Yugoslavia didn’t play professional soccer and had no reputation whatsoever on international level. The two clubs Hajduk Split and BSK Belgrade were merely used to get the numbers right. · * Missing in this line-up were runner-up Brigittenauer AC (BAC) from Austria and Hungarian champion Ferencvaros, for reasons unknown. · * The capitol cities Vienna, Prague and Budapest all provided two clubteams, which was no surprise as those cities were the soccer centre of their countries. On August 14, the Mitropa Cup got on it’s way in Vienna, Prague and Belgrade. With two clubs from Prague, Slavia played its first home match a week later. All return matches were played on August 28. With Rapid Vienna, Slavia Prague and Hungaria FC easily through to the next round, the matches between Sparta Prague and Admira Wacker were the most memorable in these quarter finals. Both teams played very rough, with injuries and even a fight in the locker room afterwards. Evzen Vesely, normally a substitute player in the Sparta squad, had already scored the first two goals in Sparta’s 5-1 victory in the first match. He was even more vital two weeks later, when Admira had equaled the 5-1 score after an hour. Vesely's 2-5 and 3-5 prevented Sparta from playing an extra match. Things were getting closer during the semi finals. Hungaria FC and Sparta first draw 2-2 in Budapest, with Sparta the better team. Back in Prague, Hungaria was able to stop the Sparta attacks: 0-0. As the away goals rule wasn’t invented yet, an extra match was needed. 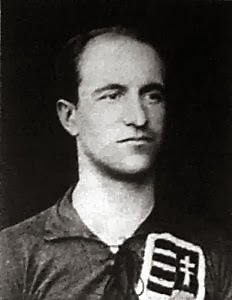 But Sparta Prague successfully claimed Hungaria FC’s Kalman Konrad wasn’t allowed to play in the last game, given his previous American adventure with Brooklyn Wanderers. So Sparta went throught to the final. In the other semi final, Slavia’s goalkeeper Frantisek Planicka denied the Rapid Vienna-attackers with great saves. Thanks to his performance, Slavia won their home match 2-1. Back in Vienna, it was a great free kick on 1-1 from Ferdinand Wessely that beat Planicka and made the final a clash between Austrian and Czechoslovakia, or Vienna and Prague. Four weeks after the semi finals, Sparta Prague and Rapid Vienna met in Prague for the first match. It was believed the Mitropa Cup had a very strong final. Twentyfive thousand spectators saw a nervous beginning, with Sparta leading 2-0 and 3-1. It was 3-2 at halftime, but after the break Rapid was overrun by Sparta, who scored another three goals. With a 6-2 score, the spectators were convinced it was over and joyously invaded the pitch. Two weeks later, Rapid Vienna tried the impossible, and failed. The Austrians played unfair, especially Franz Weselik should have been red carded. But only Antonin Perner (Sparta) was expelled from the game, after an hour. After a 2-0 lead for Rapid, Josef Silny scored 2-1 eight minutes from time, which ended all hopes for Rapid coach Edi Bauer and his team. Bauer (33) had placed himself in the starting eleven, but the gifted striker failed to make an impression. 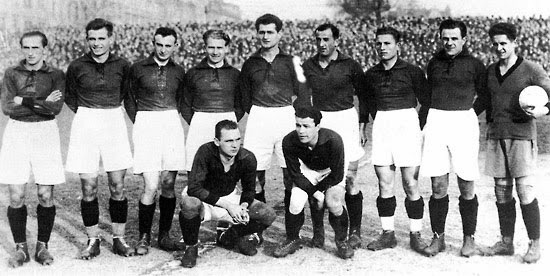 During the Cup ceremony, Sparta’s captain Karel Pesek was struck by a rock, and some two hundred policemen had to protect the Sparta Prague team from other attacks from the crowd. So, Sparta Prague deservingly was the first winner of the Mitropa Cup. During those six matches they used only fourteen players, no less than eight players were ever-present. 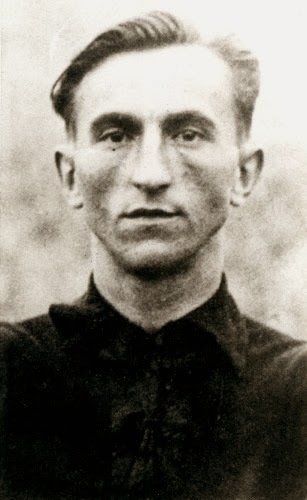 Their attacker Josef Silny became top goalscorer with five goals, Johann Hoffmann and Ferdinand Wessely (both Rapid Vienna), Antonin Puc (Slavia Prague) and Evzen Vesely (Sparta Prague) all scored four. In total 64 goals were scored in 14 matches, an average of more than four and a half goals per match. Janko Rodin (Hajduk Split), Kuzman Sotirovic (BSK Belgrade) and (as mentioned) Antonin Perner all were sent off. The Mitropa Cup got off to a shaky start, as there was too much violence on the playing fields. But the prestige was big from the start. 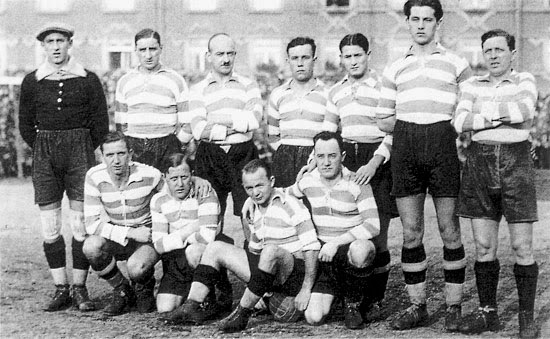 That even got better from 1929 onwards, as the Italian clubs started to participate.